The Tizen open source operating system, supported by Intel and Samsung, will have its first release and software development kit in the first quarter of 2012. The Linux Foundation and Limo Foundation have announced a Linux-based open source operating system (OS) for mobile devices. The operating system (OS) - called Tizen - is supported by Intel and Samsung. The first release and software development kit (SDK) of the Tizen open source OS is expected in the first quarter of 2012. Dawn Foster, former MeeGo community manager, said Tizen's application programming interfaces (APIs) were based on HTML5 and other web standards. "We anticipate that the vast majority of Tizen application development will be based on these emerging standards. These APIs will cover various platform capabilities, such as messaging, multimedia, camera, network and social media. For those who use native code in their applications, the Tizen SDK will include a native development kit. We will open the entire Tizen software stack, from the core OS up through the core applications and polished user interfaces," Foster said. 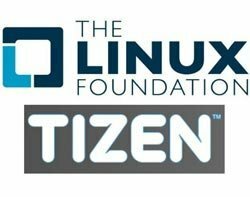 Tizen replaces the Linux Foundation project, MeeGo, in a shift towards HTML5-based applications. In a blog post, Imad Sousou, MeeGo's technical steering group co-leader, said: "Over the next couple of months, we will be working very hard to make sure that users of MeeGo can easily transition to Tizen, and I will be working even harder to make sure that developers of MeeGo can also transition to Tizen." Francisco Jeronimo, research manager of European mobile devices at IDC, said Tizen provides phone makers with a viable alternative to Google's mobile OS, Android, since the company's acquisition of Motorola Mobility. "The acquisition is alienating most of the major Android players as they feel too dependent on Google's strategy for Android, not to mention the several lawsuits they are facing for patent infringements," said Jeronimo. Jeronimo said the success of the Tizen open source OS depends on the quality of the user experience, a range of devices available at different price points and the success of the developer community and ecosystem.